For your convenience, GIFT CERTIFICATES can be ordered through our reservation system. The time and date you pick can either be to pick up your order or lets us know that is when you need the gift certificate to be delivered by. There is no extra charge to arrange for pick-up or delivery for Gift Certificates purchases. If you would like to add a SPECIAL OCCASION GREETING CARD or have the Gift Certificate incorporated into a larger gift package and DELIVERED, additional service fees apply. Gift certificates can be redeemed for any service we offer. They can be for any amount you wish. 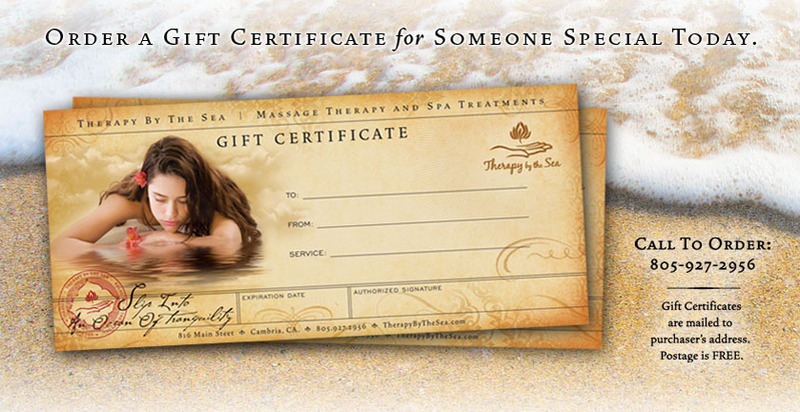 You can request a gift certificate be written out for a specific service. If the gift certificate was sold for a specific service, after 3 months, it will revert to the dollar value it was purchased for. TO COVER THE COST OF ACCEPTING CREDIT & DEBIT CARDS, ALL NON CASH PAYMENTS WILL HAVE A 4% CHARGE ADDED TO THE BALANCE. YOU CAN AVOID THIS CHARGE BY PAYING WITH CASH OR YOU CAN PAY US WITH VENMO or THE BRAVO TIP OR PAY APP, VIA YOUR PHONE. Gift certificates must be presented when you check in. Gift certificates are the same as cash and lost certificates cannot be replaced. Gift certificates are not refundable and no cash out change will be given for any unused portion of the certificate. Unused portions of the gift certificates can be held onto though for later use. Gift certificates do not include any gratuity. Let us know if you wish a certain amount of the gift certificate to be used for a gratuity. We honor all our purchased gift certificates, even if they have expired, for the amount they were purchased for. If you have an expired certificate, please contact us to make arrangements to redeem it as soon as you can.